Finland became an independent republic in 1918. 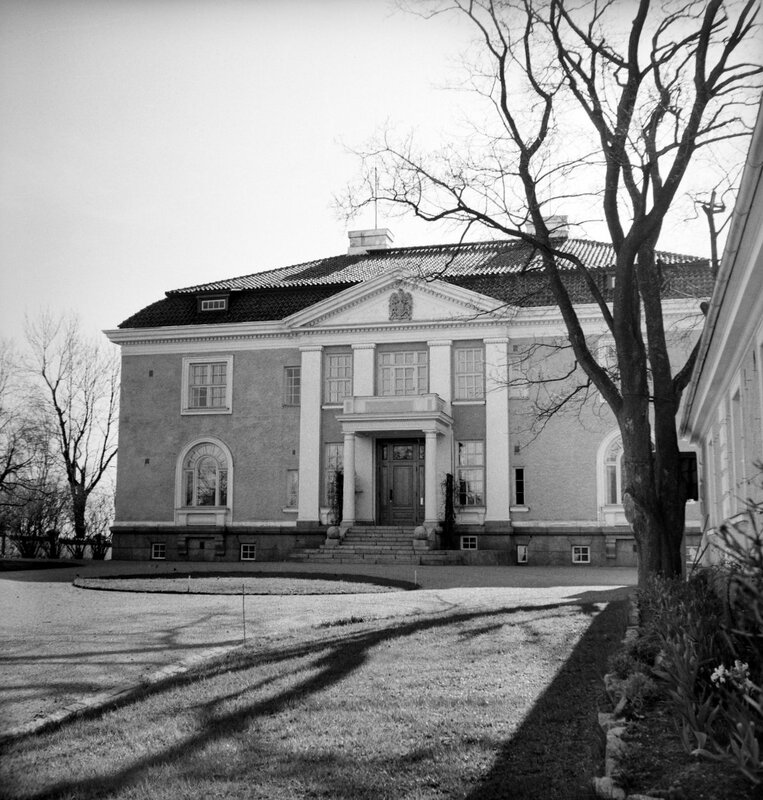 The first British ministers leased premises in Helsinki before a legation house was bought in 1925 on the Kaivopuisto headland, just south of the centre of Helsinki. The headland had been developed as parkland in the 1830s, with a fashionable waterside health spa at the southern end. Soon afterwards, land lots were sold on higher ground on the eastern side of the headland on which regular visitors to the spa could build villas. On the best site, and closest to the spa, in 1844 arose an extravagant four-storey house, the Villa Rauhaniemi, built by a St. Petersburg socialite, Princess Zaneida Yusupoff. Damsten sold his villa, with its gardener’s cottage, to Johan Reinhold Weckman, a former vice-consul at Uleåborg and Kemi, in 1922. Three years later, Weckman sold it to the Office of Works for about £16,000. Adaptations, which included putting domestic staff quarters in the attic and improving the services, and furniture, some of which came from the former British mission in Leningrad, cost a further £6,000. 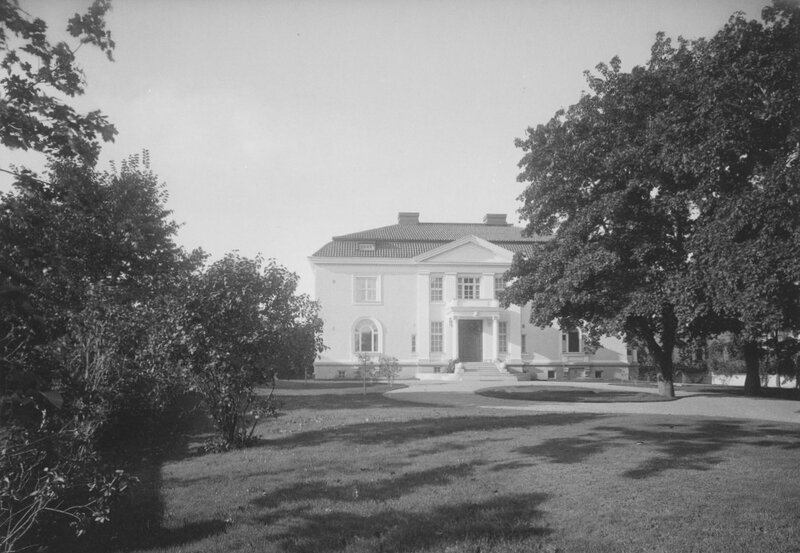 The minister, Ernest Rennie, who had been leasing the house of the current Finnish minister serving London , moved into Villa Damsten on the last day of 1926. It remains the residence, and has one of the best plans of any British residence. 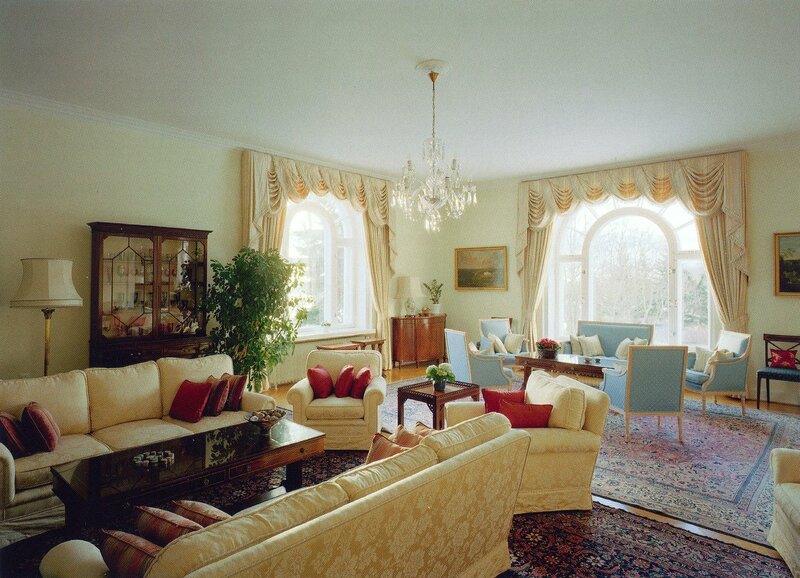 The address of Villa Damsten has variously been 8B Östra Allen, 8B Brunnsparken, and is now 15 Itäinen Puistotie. 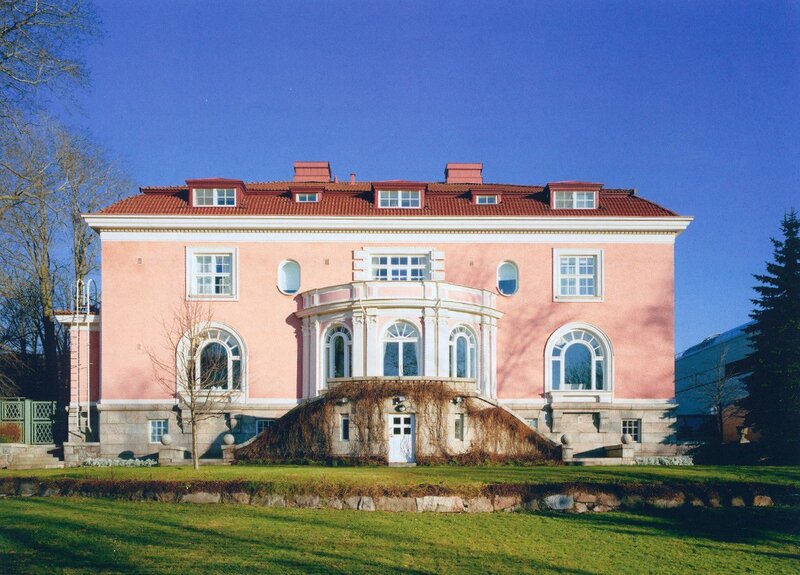 The villa was originally painted pale yellow: it is not known when it first became pink [?still]. A garage was added to the gardener’s cottage in 1938, the dining room was (rather clumsily) extended outwards in 1945, and a sauna and plunge pool inserted in the basement in the 1970s. 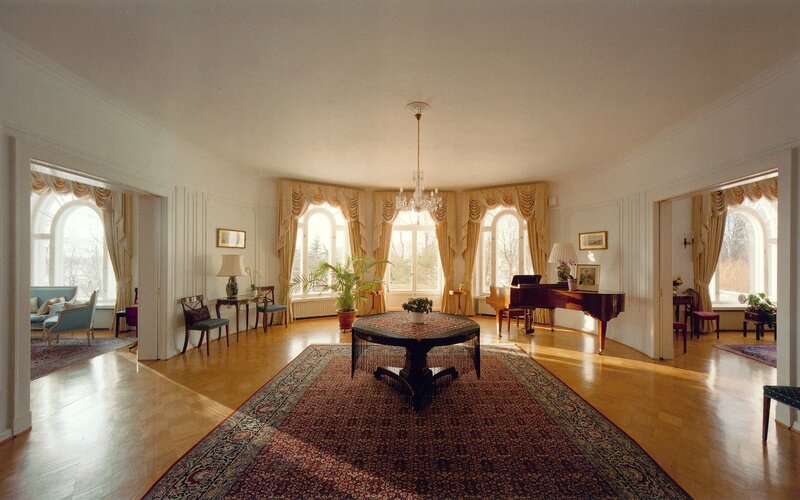 Looking from the hall across the central reception space, with drawing room on the left and dining room on the right, 1990s. 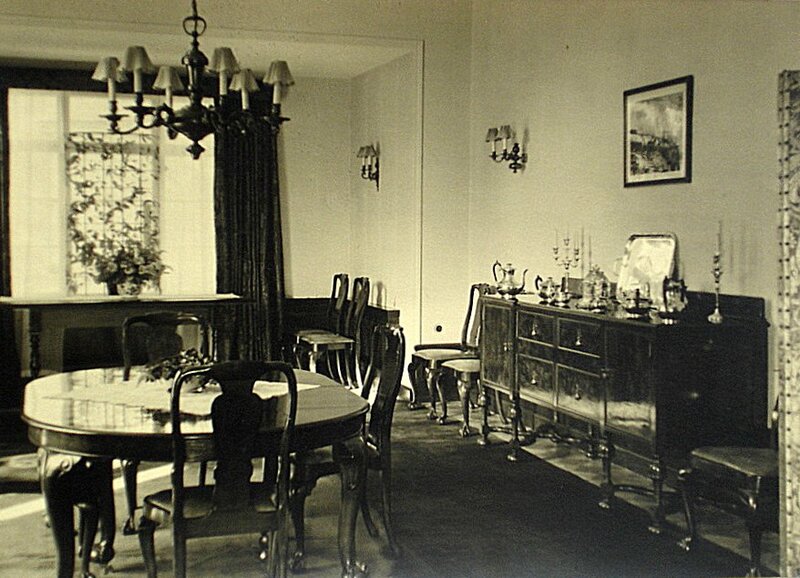 Dining room, as recently extended, 1946. 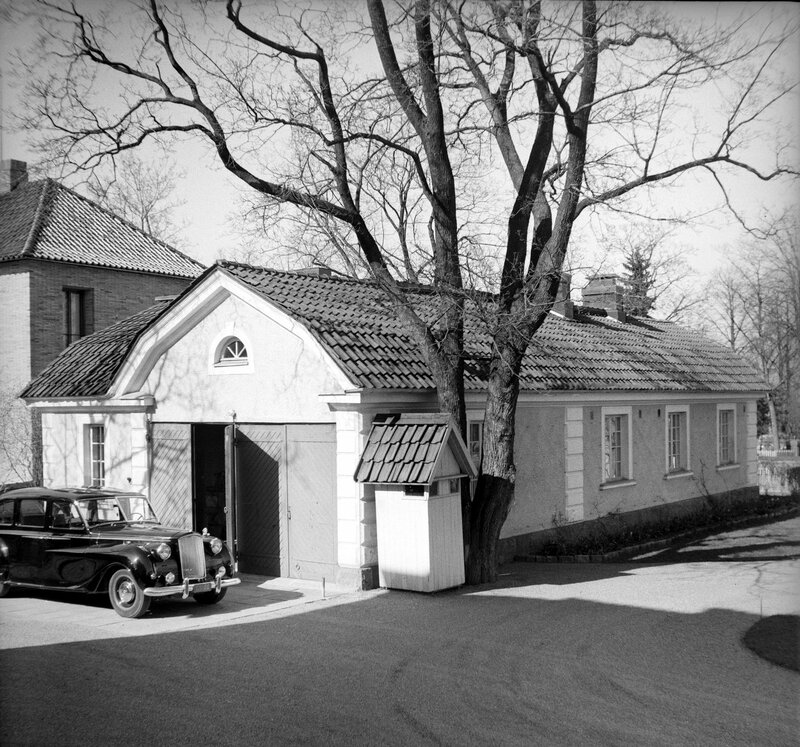 Garage and gardener’s cottage, 1958. 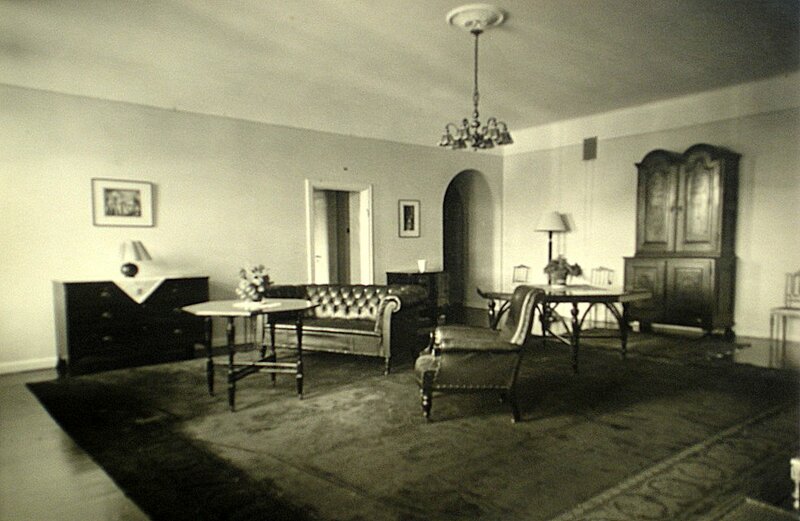 The first floor landing, 1946. 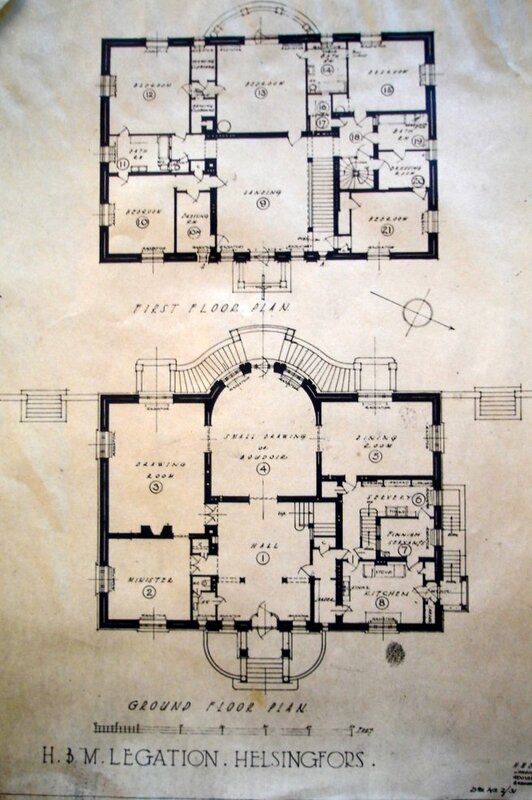 There was a plan in 1925, the year in which Villa Damsten was bought, to build a chancery office and an archivist’s house in the garden opposite the gardener’s cottage: this never materialised. From before the Second World War until 1960 the legation (embassy from 1954) offices were in leased premises at 18 Etelä Esplanaadikatu. They then moved to 34 Korkeavuorenkatu and again, in [?] 1971, to 16-20 Uudenmaankatu. In 1972, the Property Services Agency bought the site adjacent to the south of the residence, with the Lars Sonck house on it, from the Baumgartner family for £345,000 with a view to building new embassy offices there. Rather disgracefully, but not illegally, the Agency straightaway demolished the house before it could be listed. Norman Isham, an in-house senior architect, designed an office scheme for the site in 1973 but it did not proceed. Stephen Quinlan, an in-house senior architect in the Overseas Estate Department of the FCO, designed a new offices scheme for the site in 1984: Cold War considerations had a direct bearing on the design and fenestration of the new building. An eminent Finnish firm of architects, Paatela, developed the scheme and steered it through the statutory approval process in 1986. The contractors were Higgs and Hill Overseas with Polar Oy. HRH The Duke of Kent opened the building on [?1990]. There is carparking and staff amenities, including a swimming pool, in the basement, which opens out on to a terrace at the rear, and links with the residence. 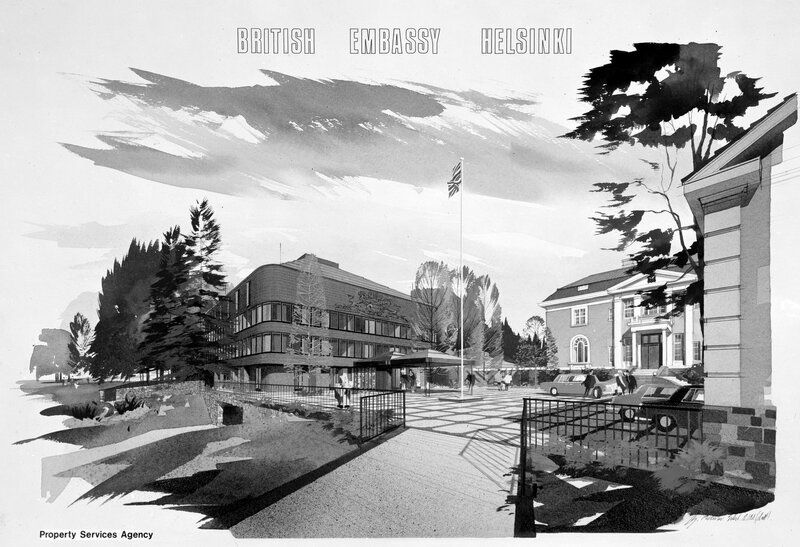 The residence section of this page draws upon Gordon Falla’s booklet, The British Ambassador’s Residence at Helsinki, produced by the British Embassy in 2002. Sketch perspective of proposal for new offices, 1974. 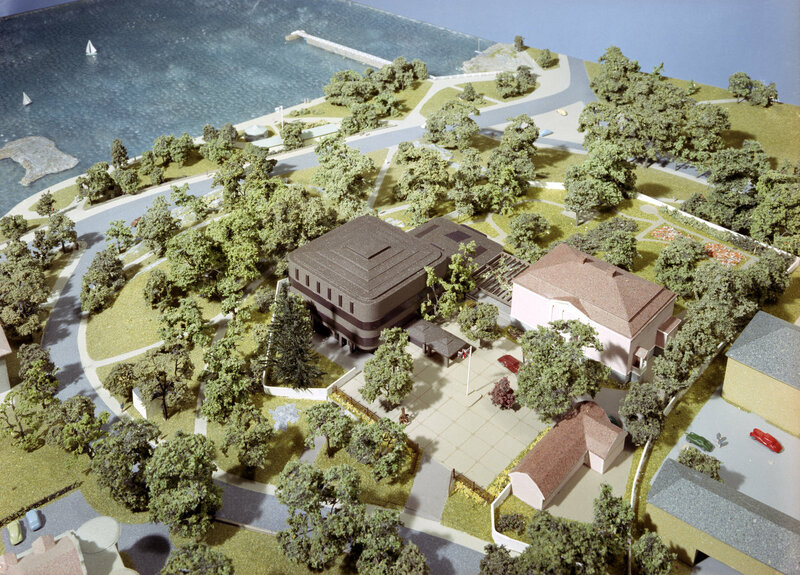 Model of proposal for new offices, 1974. New offices, entrance approach, c.1995. New offices, with residence entrance at right, c.1995.